The New Technology File System (NTFS) is a proprietary file system created by Microsoft and is used extensively in Microsoft’s Windows operating systems. 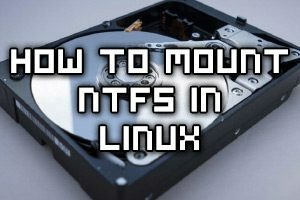 By default most Linux distributions are not able to mount NTFS, however it is possible to install a driver that allows us to do this so that we can read and write data to an NTFS disk. Here we show you how to expand an LVM volume or partition in Linux by first resizing logical volume followed by resizing the file system to take advantage of the additional space. See here if you’re instead trying to do the opposite and shrink an LVM volume. Here we show you how to shrink an LVM volume or partition in Linux by first resizing the file system followed by resizing the logical volume. See here if you’re instead trying to do the opposite and expand an LVM volume. 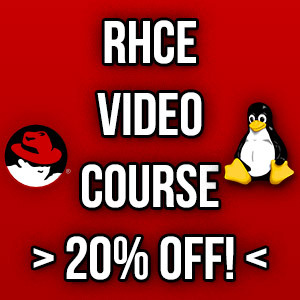 Previously I’ve covered how to increase disk space in Windows server, now we’ll be outlining how to do the opposite by shrinking the disk space for a virtual machine running Windows Server 2012 R2. Firstly we will be shrinking the file system within the operating system, and then shrinking the actual virtual disk afterwards to reclaim space. As of Windows Server 2012 R2, Hyper-V allows us to dynamically shrink and expand the size of our virtual hard disk while the virtual machine is still running, meaning that there is no down time. Prior to 2012 R2 you would have to shut down the virtual machine to complete the process, I’ll cover where that’s done later on in case you’re using a version prior to 2012 R2. Shrinking the available disk space on a server may allow us to use the space elsewhere, perhaps on another virtual machine. Typically most provisioning nowadays is thinly provisioned where the virtual disks will only be the size of the data stored on them rather than wastefully statically assigning the total space of the disk, so this may not be very beneficial for you. With that in mind there are still times where you may want to shrink the available disk space on the server to prevent a user using it. For example a service provider may have a customer looking to downgrade their disk space and we would want to shrink their disk back so they do not use space they are no longer paying for. This post will cover how to increase the disk space for a VMware virtual machine running Linux that is using logical volume manager (LVM). Firstly we will add a new disk to the virtual machine and then extend the original LVM over this additional space. Basically we will have two physical disks but just one volume group and one logical group that is using the space on both disks together. With this method there is no down time for the virtual machine. In this post we will cover how to increase disk space for a VMware virtual machine that is using a Linux native partition rather than logical volume manager (LVM). Firstly we will increase the size of the virtual disk on the virtual machine at the hardware level and then once this is complete we will boot into a GParted live CD and perform the changes required to make use of the additional disk space so that the operating system is able to use it.